+/- 0.5% accuracy, L/R power, durable, 500 hr. battery life, CPS technology & more! The Verve InfoCrank M30 power meter is the most accurate power meter you can buy – period. 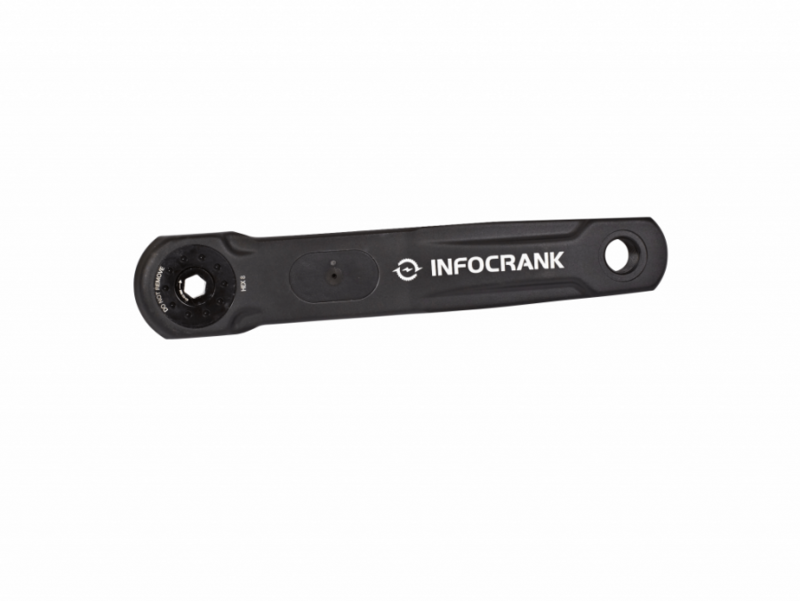 The InfoCrank achieves its unmatched accuracy and consistency by placing its strain gauges within the crank arm – the only power meter manufacturer to do this. This unique location places the strain gauges directly in the path of torque so that the tangential force which pushes the bike forwards – not the twisting of the cranks, registers the output. This makes it accurate to within +/- 0.5% all the way up to 3,000 watts – the best accuracy of any power meter. 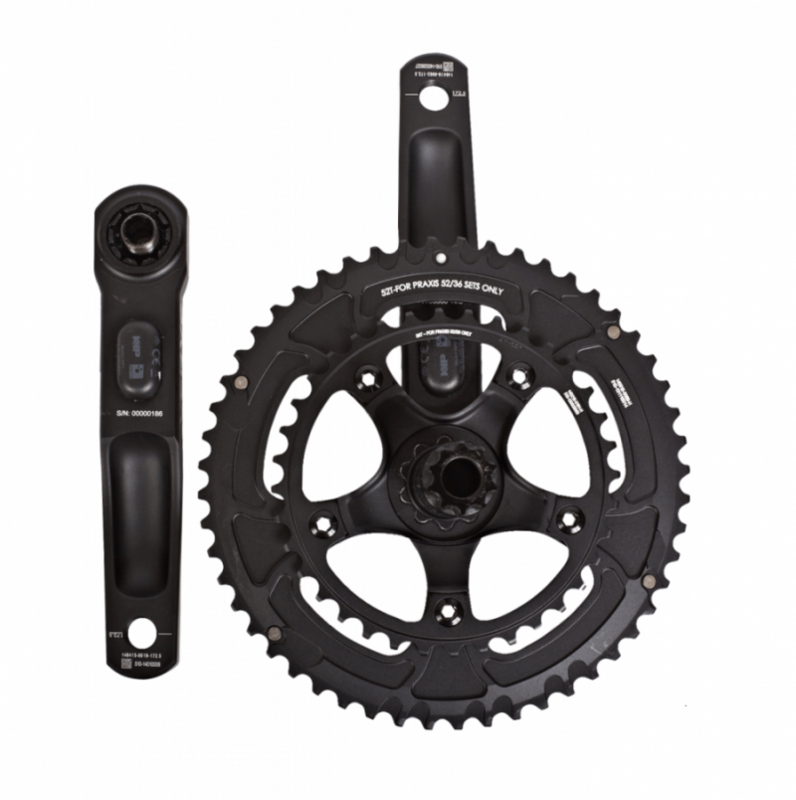 In addition, the InfoCrank locates a power meter on each crank arm, which gives it the ability to measure left and right power independently. 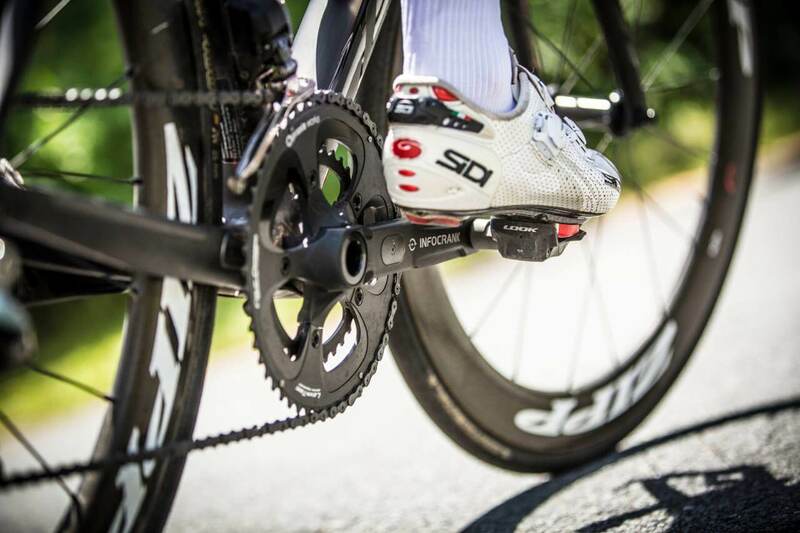 It is also the only power meter to use CPS technology to measures cadence. This means no magnet and precise cadence measurement. The Verve InfoCrank M30 power meter comes with a 110 or 130 BCD and a Praxis M30 30 mm spindle for its integrated bottom bracket design. The spindle is purpose built for the M30 bottom bracket exclusively. The power meter includes specific bottom bracket cups from Praxis so the power meter will fit 68 mm wide BB30, Press Fit 30 (PF30), BB86 Press Fit, OSBB (Specialized), BSA (English Threaded), BBRight (Cervelo) and EVO386 frames. 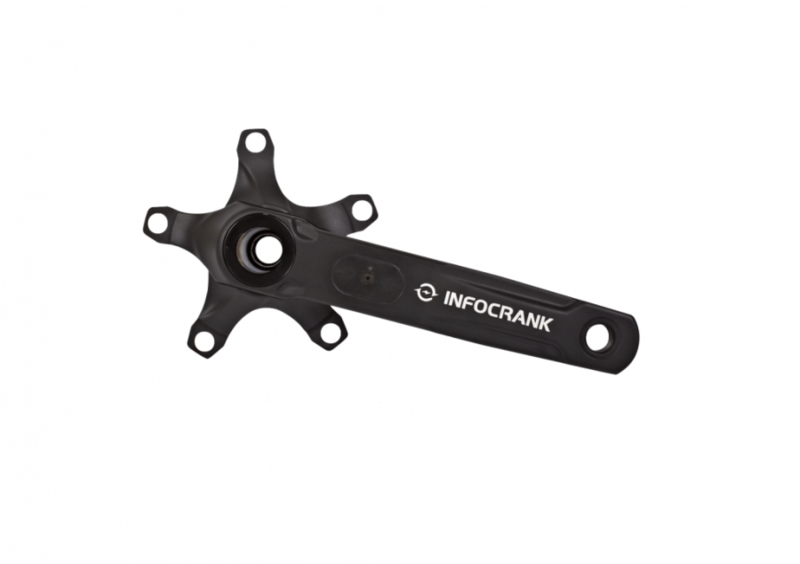 The InfoCrank M30 power meter is not compatible with a BB30/PF30 bike bearing set up that is already pre-installed. The Praxis M30 bottom bracket must be installed with the InfoCrank. If you have a BB30 that does not have the circlips, or a PF30/OSBB that does not have a clean bore all the way through the frame, the Praxis M30 bottom bracket provided will not work. The only frames the InfoCrank M30 with the 30 mm spindle is NOT compatible with are BB90 (Trek) or Cannondale BB30A. We also sell the Verve InfoCrank 24 mm power meter which uses a Shimano 24 mm spindle and works on any Shimano 24 mm bottom bracket. If you have any questions on compatibility, please contact us and we would be happy to help. The InfoCrank rocks. 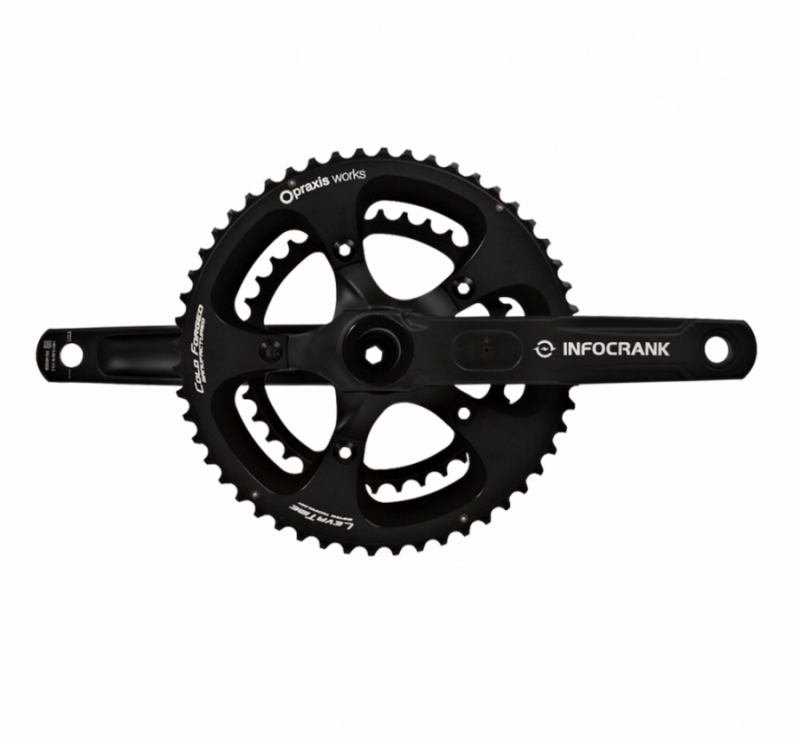 If you are serious about your training and power meter, I highly recommend the InfoCrank. I did a ton of research before buying. Compared to other power meters, the InfoCrank is the most accurate (this was the most important factor for me), even more accurate than SRM. Also, the InfoCrank doesn’t need a magnet to measure power (SRM does) and gives you left and right power measurement. Installation took a bit of time but wasn’t too bad with the instructions. It paired up to my Garmin easily and after about 20+ rides, I haven’t had any issues. No power spikes, data dropouts or anything. Also, you don’t need to calibrate this unit every time you ride. Must make sure it fits your frame. It doesn’t fit every bike so do your research first. This power meter deserves 5 stars – especially at this price point when compared to a SRM. 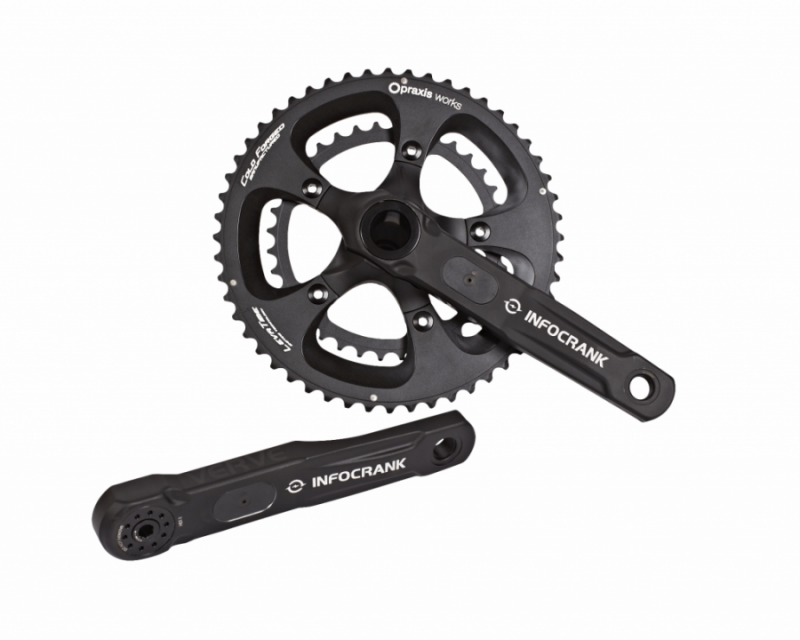 Marcus, the InfoCrank is one of our favorite power meters and it’s on our own bikes too. It’s rock solid and it will treat you good – I know it. Let us know if you have any questions on it. It took a while to get mine dialed in, but it works great now. The manual says to install the magnets, but don’t do that. It caused me lots of problems with strange readings. Once I took the magnets the problems went away. Save the magnets, though, you’ll need one when you changed the batteries on the cranks. I like mine and I’m going to order another. Hi Bruce, Glad you got it figured out and thanks for the review. Enjoy your InfoCrank!